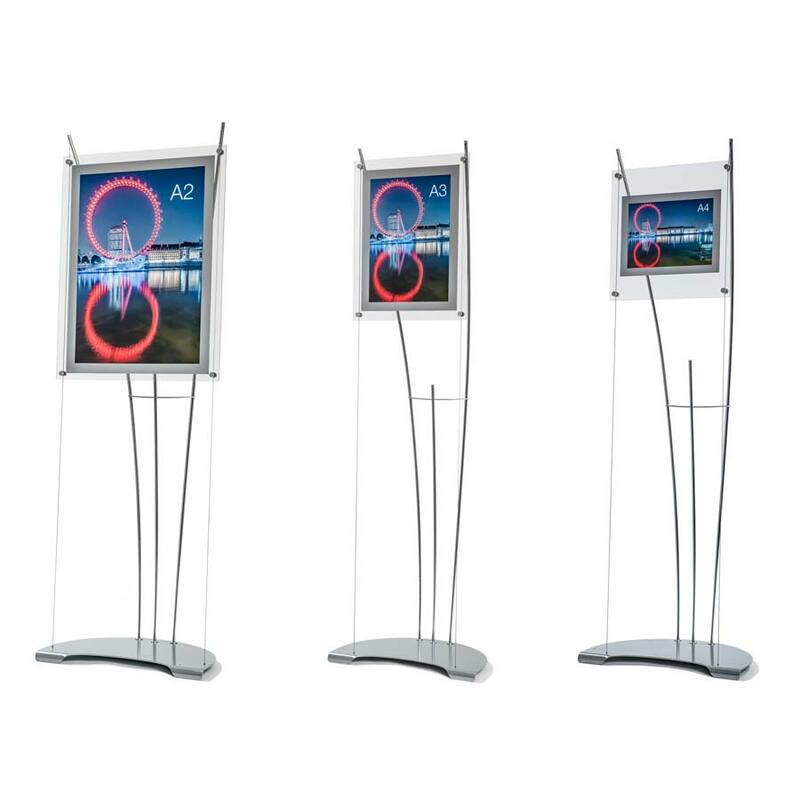 Poster display stands available in A4, A3 & A2 sizes. Display your posters anywhere. 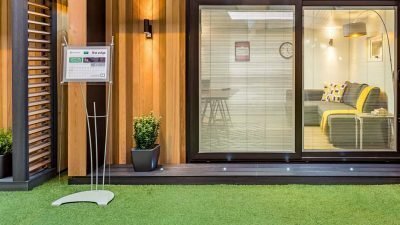 Elegant display solutions for public areas. 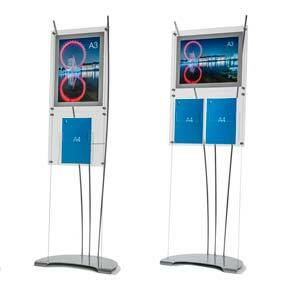 Combine poster and brochure holders on a single display. 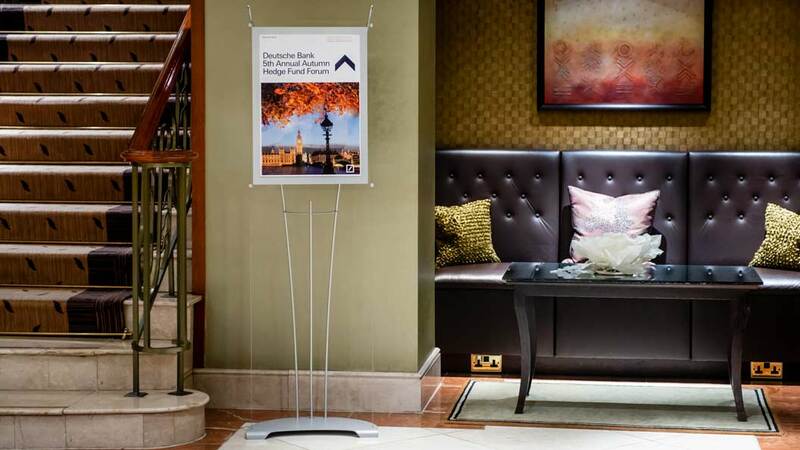 A4 & A3 Poster frames can be used in either Portrait or Landscape format. No fiddling with hex keys. We use large cable fixings to attach the frames to the cables. 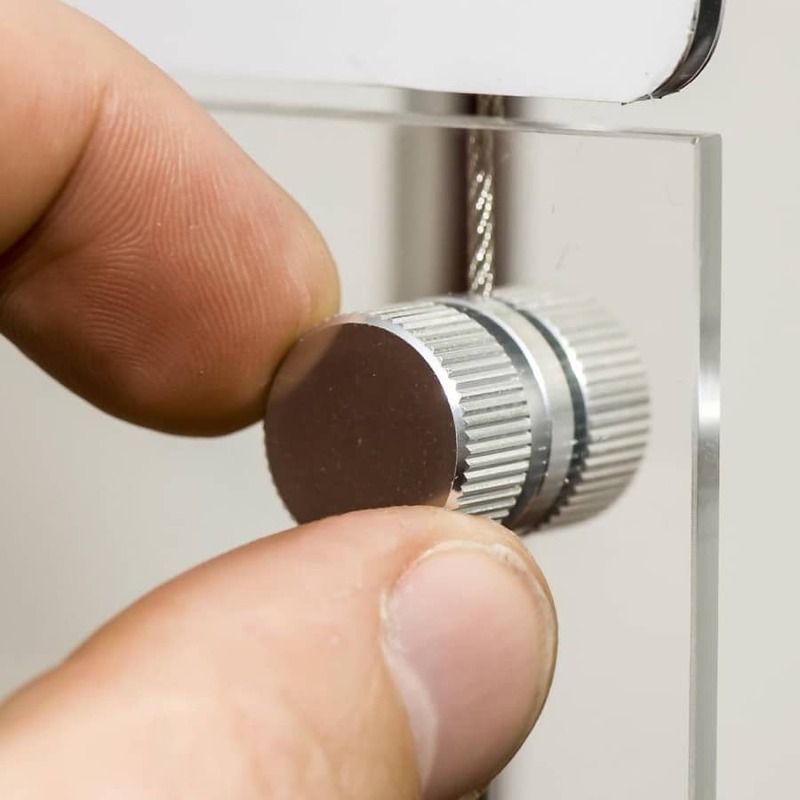 Recessed magnets hold the acrylic cover frame in place letting you to change the poster in seconds. 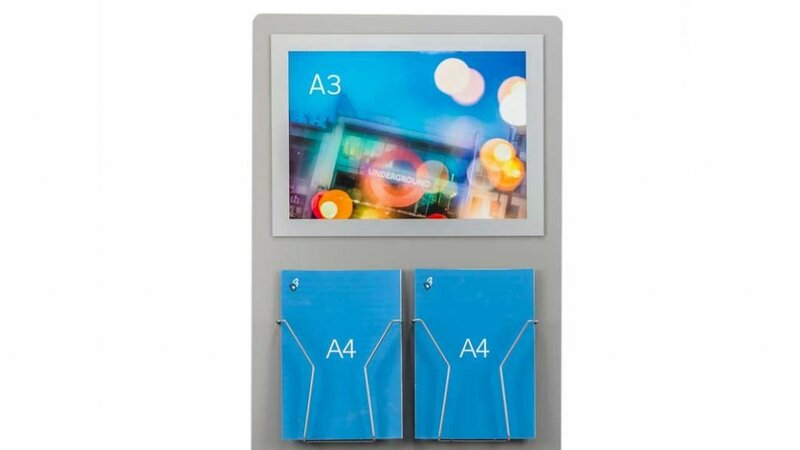 Lighter and more portable acrylic display where the poster holder is suspended on the cables. 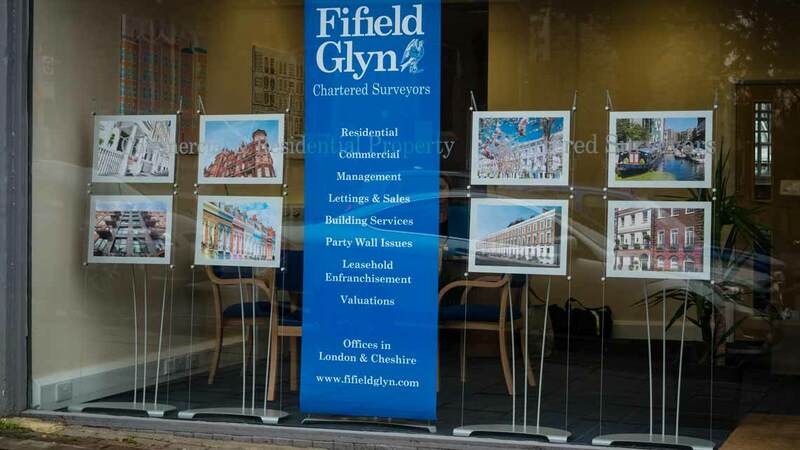 Posters are sandwiched between a clear acrylic front sheet and back sheets panel. 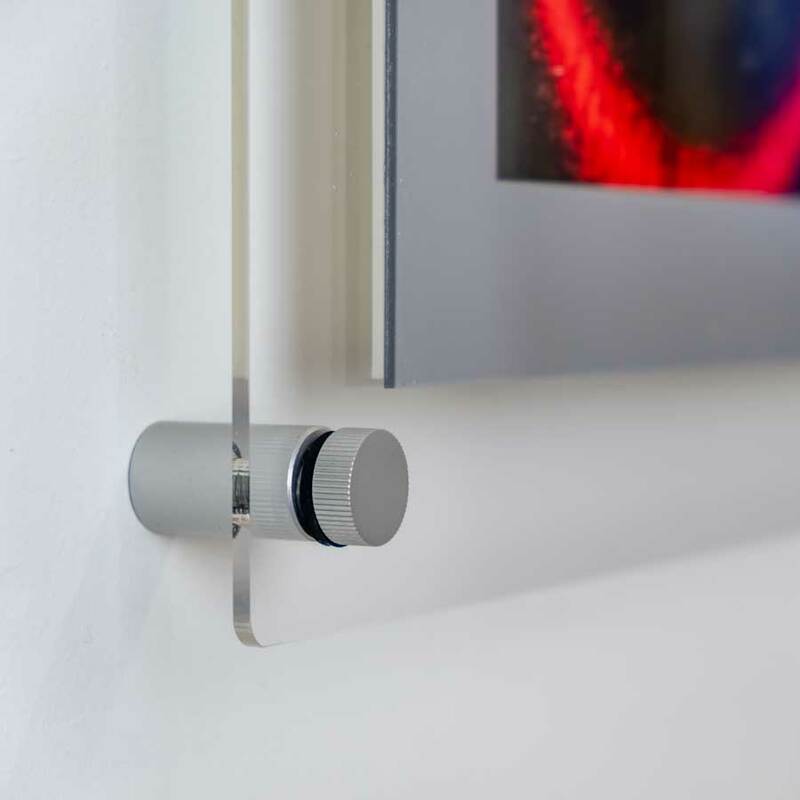 Poster Holder are attached to the cables using four satin finish aluminium cable fixings. 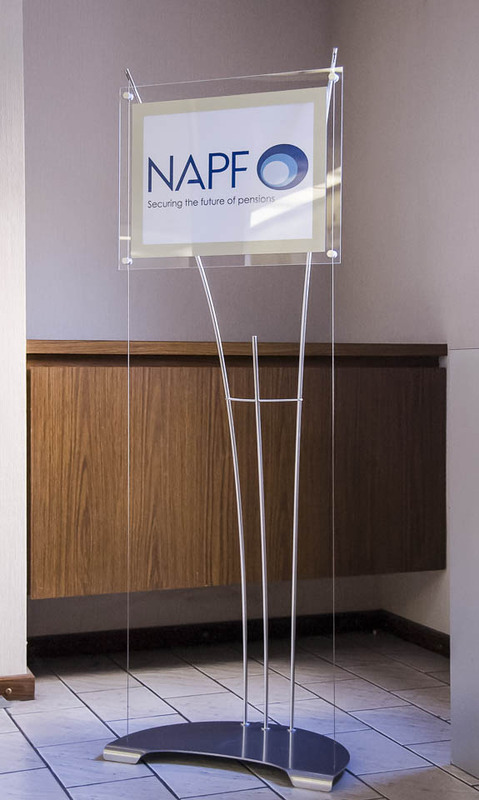 Poster holders are made from clear perspex acrylic. Your poster is sandwiched between 3mm back sheet and a 2mm front cover sheet. 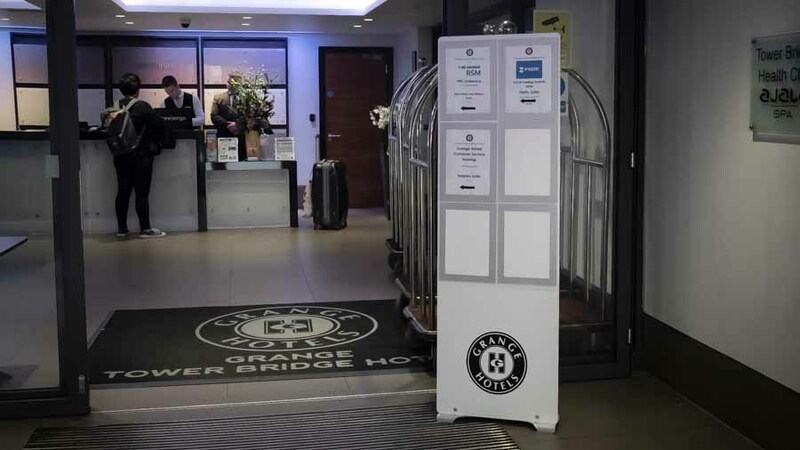 Fully assembled poster display stands are easily be moved around. Floor standing poster displays available in A4, A3, A2 sizes. 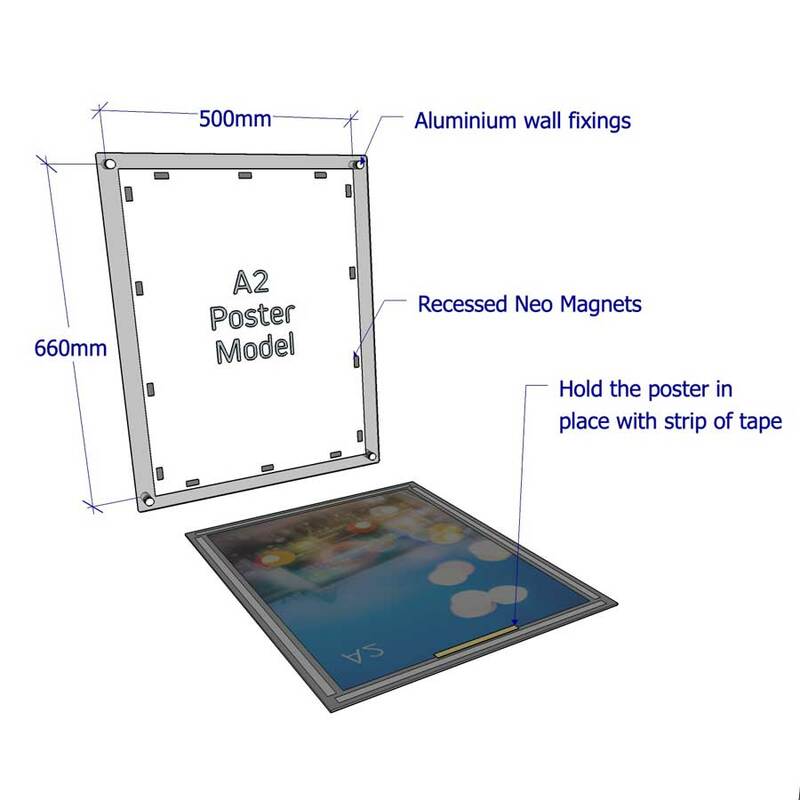 Poster holder is glued to a rigid aluminium panel which rests on the base. 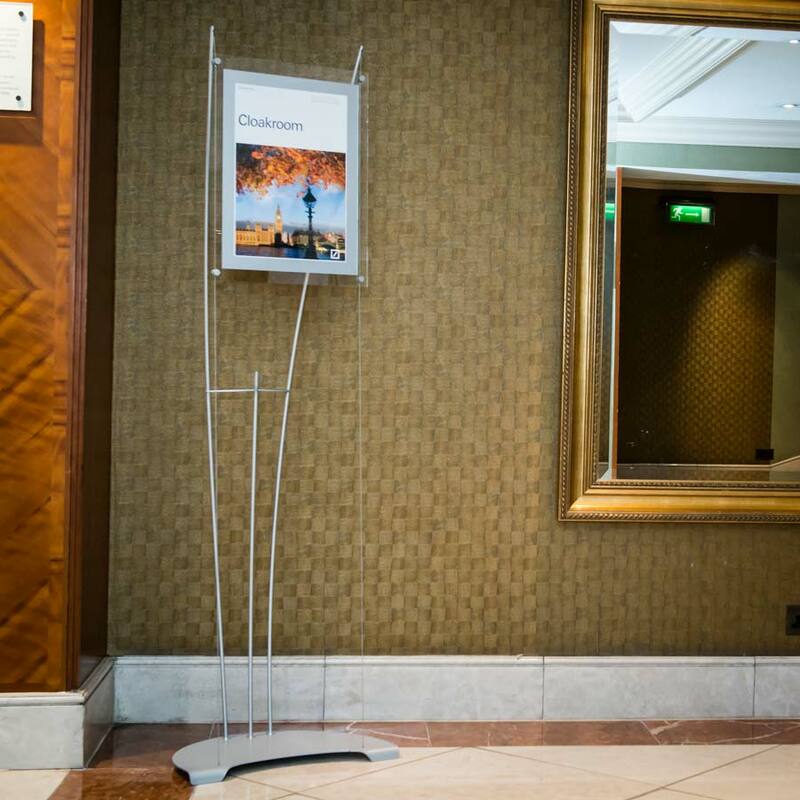 Rigid banner poster display stands are heavier and best suited for permanent display work. Optional graphics can be applied to panel. 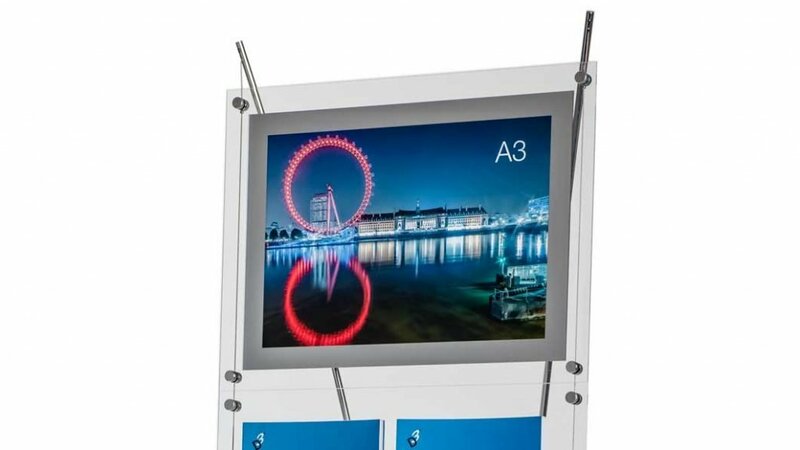 A3 display stands are ideal for photos, menus, health & safety info, general notices & temporary signs. 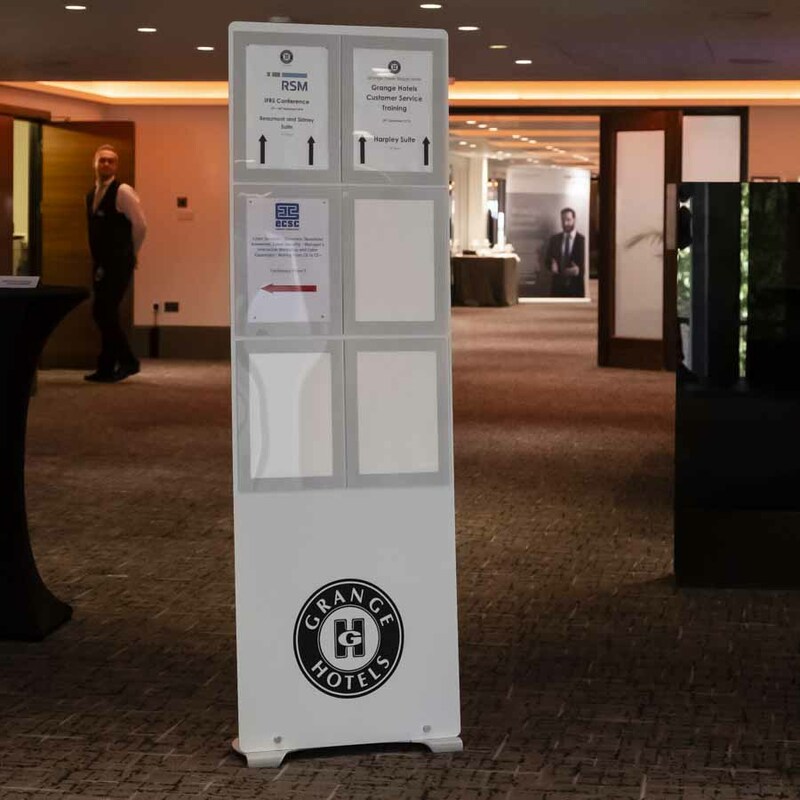 A2 Display stand units can be used at conferences for directional signage. 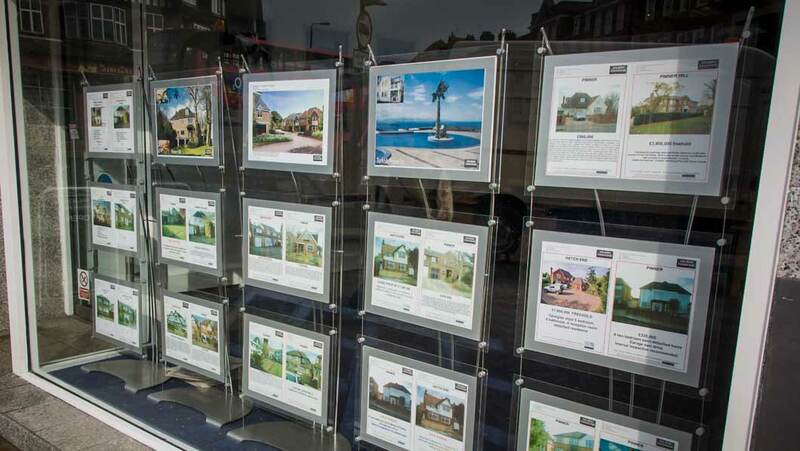 They are also ideal window display stands for displaying property in estate agents. 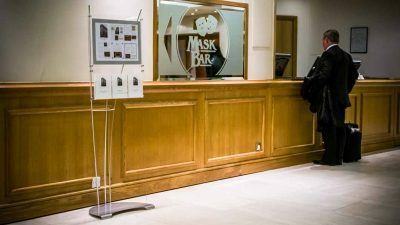 Poster displays can be left up permanently in showrooms and reception areas. Get the best prices by buying directly from the manufacturer. Quick service from our London office. 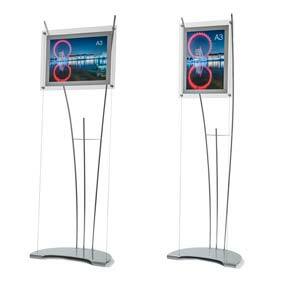 Most poster display stands are in stock for next day delivery. 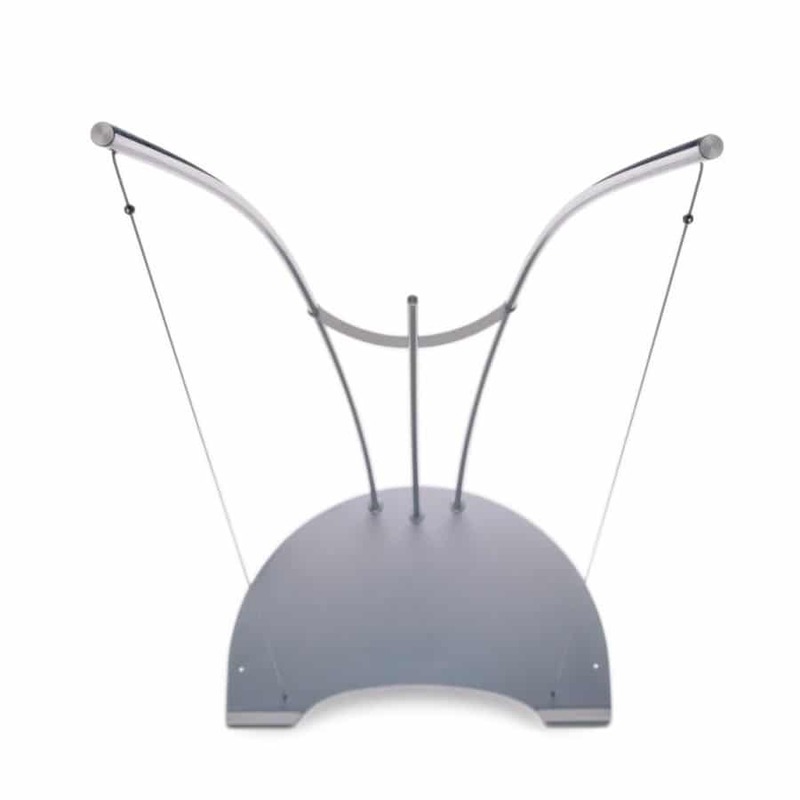 Poster stands come with a 10 year warranty against manufacturing defects.